November, 1949: In the aftermath of his brother James's death, Richard MacEwan's life is suddenly rocked by secrets involving his wife Sarah and daughter Anna. Among his bachelor brother's papers, Richard discovers a letter from Sarah that hints at an infidelity. Then there is Anna's affair with a married man, Charles Norden, which threatens to change her life forever. The story of Richard, Sarah, Anna, and Charles--along with the troubling legacy of James--is one of faith and doubt, profound moral and spiritual conflict, and the intricate bonds that hold families together. 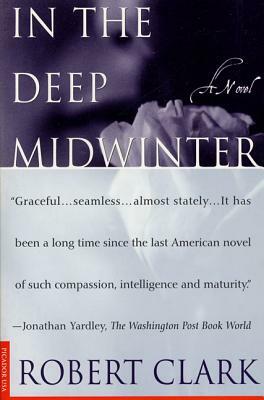 Robert Clark is the author of the novels In the Deep Midwinter and Mr. White's Confession, and River of the West, a cultural history of the Columbia River (all Picador), and The Solace of Food, a biography of James Beard. A native of St. Paul, Minnesota, he lives in Seattle with his wife and two children.